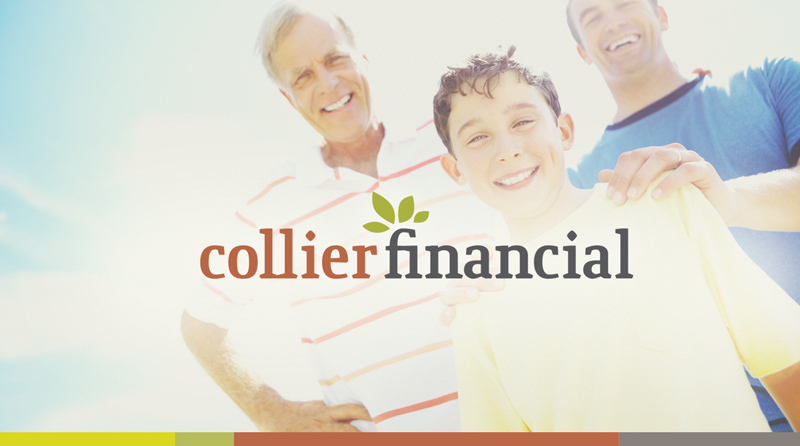 Collier Financial uses safe and time-tested financial principles to empower their clients to create, preserve and share their wealth. 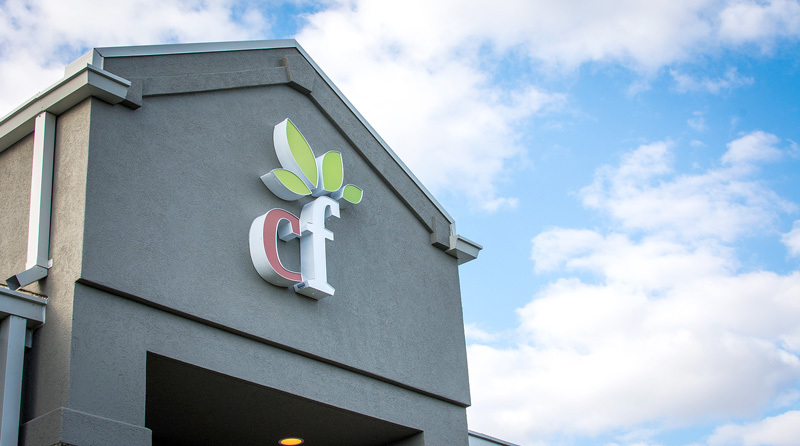 When the business began in 1990 it was called Senior Benefits; the company focused on helping seniors maximize their retirement benefits. 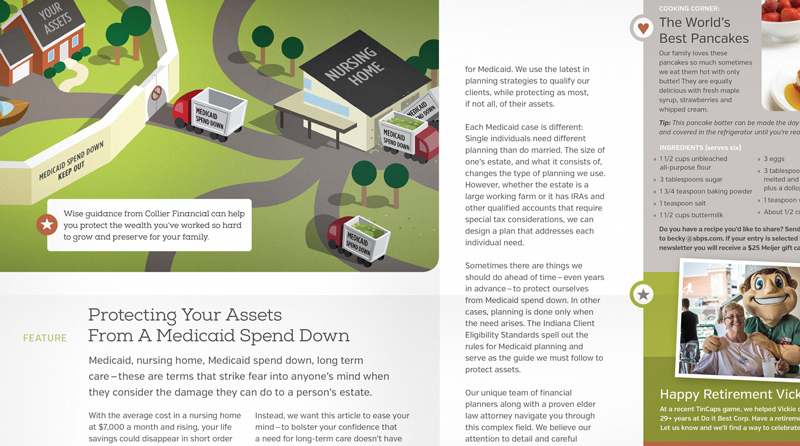 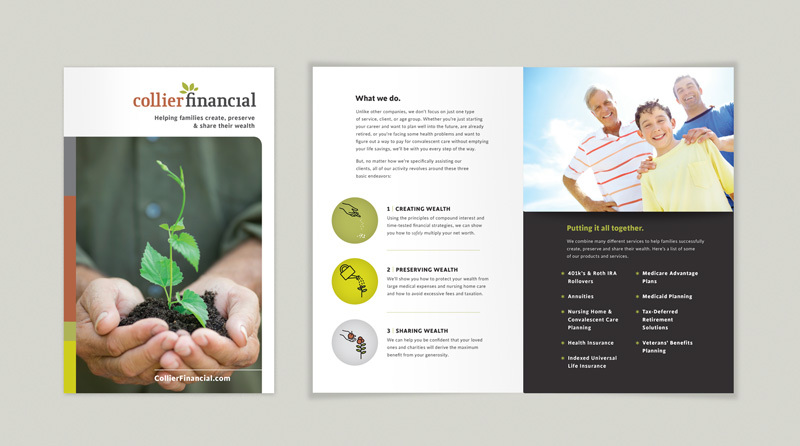 Over the last 10 years, they’ve broadened their services to include solutions for working-age professionals and younger families who want safe ways to grow their wealth. 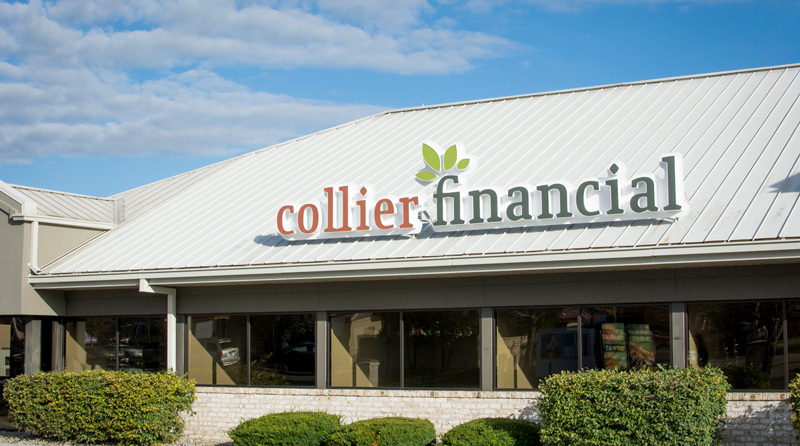 With this expanded clientele in mind, the company changed its name to Collier Financial. 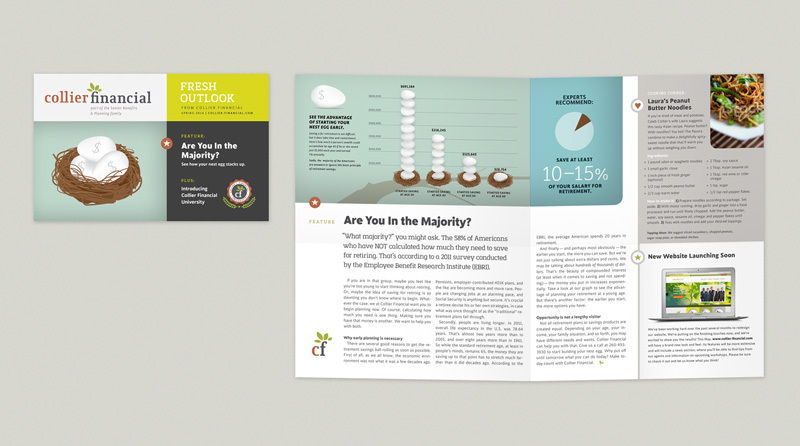 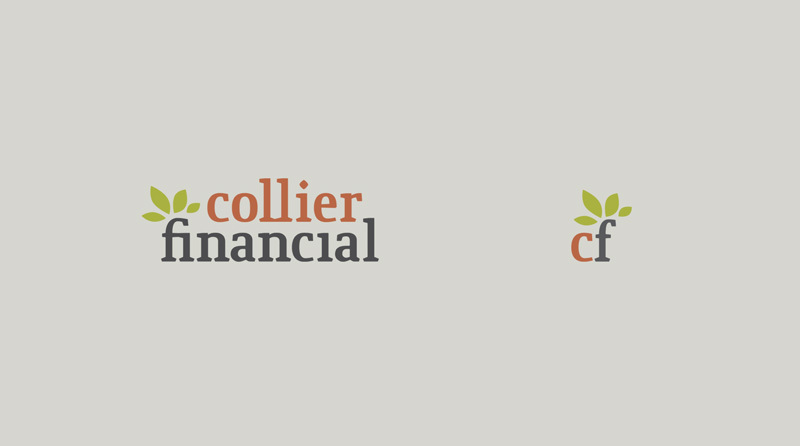 DKLLC helped develop the Collier Financial logo (first in 2006 and then a refresh, shown here, in 2014) and rolled out a wide range of marketing materials. 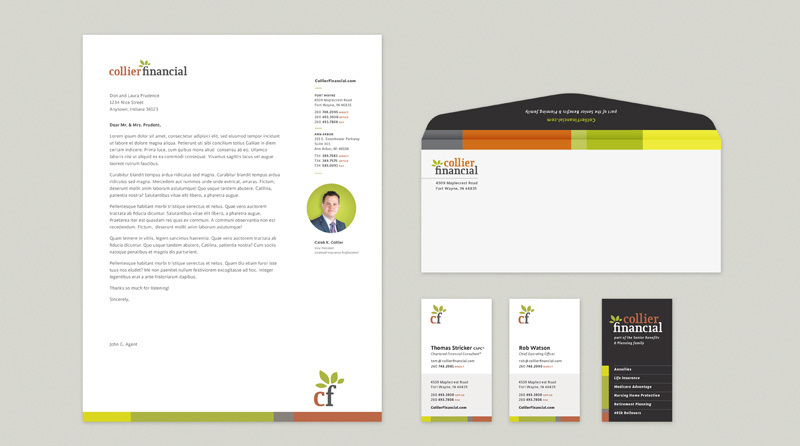 This includes brochures, quarterly newsletters, stationery, appointment reminder cards, a website, powerpoint presentations and more to help Collier Financial bring financial success to hundreds of clients.